Volunteers at Mid Coast Hospital earn the prestige of supporting one of the region’s highest rated healthcare facilities. At Mid Coast Hospital, numerous opportunities exist for volunteers of every background, skillset, and ability! Best of all, by volunteering at Mid Coast Hospital, you are able to make a positive impact on the lives of your own neighbors, family members, and friends right here in Midcoast Maine. 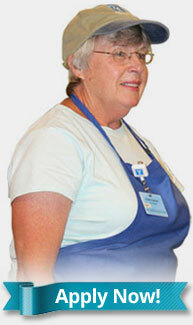 For more information about volunteering at Mid Coast Hospital, please contact (207) 373-6015. To submit your application, please click the Application link below or visit the Volunteer Services office at Mid Coast Hospital.